Jonathan is a 20-something, with a girlfriend, an inane job, and a worryingly affordable decent New York apartment. His life is enriched by having to look after his brother's two dogs. But the dogs seem to be all too aware of Jonathan's internal struggle to cope with the responsibilities of growing into adulthood. I am not a dog owner but this book made me laugh out loud so many times, I had to stop listening to it in public*. Jonathan of the title is a 20-something whose brother has given him two dogs to look after temporarily. Jonathan is rather lost in life and copes by imagining what the dogs think of all his hopes, fears and life actions. 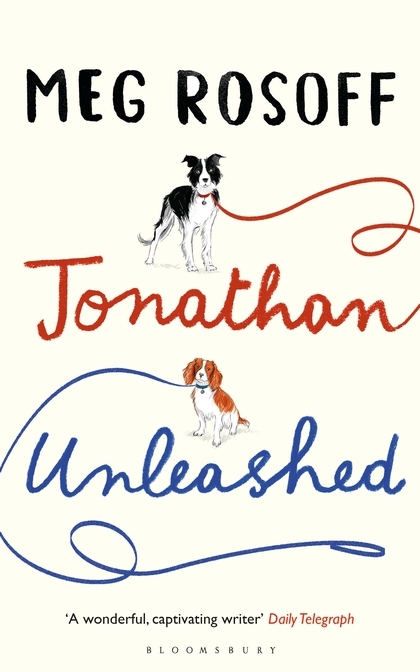 Whilst the dogs are in no way anthropomorphised, Meg Rossoff beautifully sustains an ambiguity as to who is actually in charge of Jonathan’s life. The plot (Rosoff, as she admits herself, is stronger on character than story) is superficially a romantic comedy, but is deepened by real pain (like Marianne in Sense and Sensibility, Jonathan suffers a mental collapse, and it is not as funny as it initially appears), and a great ending which counteracts romantic comedy convention. The book fizzes with one-liners and a line-up of funny, believable characters, but ultimately asks questions about how we all cope with modern life. *I listened to this on Audible. I listen to some books on Audible, I read some on my Nook and I read some actual books. I often like to listen to American books so I get the accent, which is why I chose to listen to this one. Weirdly it’s read by an English man. But hey his accents sounded OK to me. Looks like fun, I am reading “Let my people go surfing” at the moment.